We run all of our sailing courses on one of the yachts in our charter fleet of beautiful, privately owned yachts, usually Loxley B, a Sun Odyssey 37. We are based at Hamble Point Marina where you will find plenty of free parking. Our office is situated adjacent to the Ketch Rigger pub/restaurant, with a view over the boats and the marina. Unlike most other schools in the area, your mooring fees and wet weather clothing for the duration of your course are included in the price quoted. Because the yachts are all provately owned the standard of equipment and yacht is above the usual you will find on a school based yacht. The yacht is fully equipped with safety gear although you are welcome to bring your own lifejacket. Waterproof clothing (jacket, trousers and boots) may be borrowed from us for your course. You will not need to bring any smart clothes and you should bear in mind that neither salt water, nor the environment of a yacht, is particularly kind to your clothes. Feel free to bring any favoured navigational instruments or equipment. Stowage is limited and most of your kit should fit into one squashy holdall. There is no room to accommodate a suitcase. We accept RYA Vouchers in payment for your course. For full details of how to find us and the best way to get here, please see location. Hamble Point Marina is located at the mouth of the River Hamble and has immediate access to Southampton Water and the Solent. The postcode for your Sat Nav is SO31 4NB. From the M3 take the M27 Eastbound for Portsmouth. Exit Junction 8 of the M27 for Southampton East/Hamble-le-Rice. Follow signs for Hamble on B3397, Hamble Lane. After approximately 3 miles you will see a sign for Hamble Point Marina, just past the Fire Station. Turn right into Copse Lane which then becomes School Lane and Hamble Point Marina is at the end after approximately one mile. Keep left as you enter the marina and park in the vicinity of the Ketch Rigger pub. Our office is adjacent to the pub on the far side. Take the train to Southampton Parkway. This is a 20 minute taxi ride to Hamble Point marina. We are suggesting this rather than a train to Hamble due to the lack of taxis at the station in Hamble. If you are coming for an RYA course you will need a copy of the RYA Cruising Log Book G158. This contains the syllabus for the whole RYA training programme, in addition to allowing you to record details of your own experience. This can be obtained through us, chandlers, or from the RYA. Whatever your level of experience this is a useful document. For some of the courses we run, you may need a passport sized photo for your certificate. Please bring one with you! This is a routine issue and should not worry you any more than it does us. If it should affect you, let your instructor know at the earliest possible moment. Whilst we have not yet managed to make it enjoyable there is much we can do to minimise the effect and help you to relax. Prevention is far better than cure and you may wish to start on medication before the start and wean yourself off as you find your sea legs. You must make your own medical decisions, or seek professional advice, before taking any treatment. Current legislation prevents us from making insurance recommendations but you should ensure that you have personal insurance providing cover against personal accident, medical and emergency expenses, personal liability, legal expenses, loss of baggage, personal effects and money, cancellation and travel disruption. Whilst we welcome children (under 18’s) or vulnerable adults on board with us for our courses or trips, please be aware they must be accompanied by a parent or guardian. In the event of either the boat or the instructor being unavailable to complete the course, our liability shall be limited to a refund of the unused portion of the fees paid to us. If the proposed itinerary includes a “foreign” destination you will need a current passport. You may also wish to bring some local currency. You may wish to arrange a EHIC (European Health Insurance Card), which may cover the reimbursement of emergency medical costs incurred within the EU. 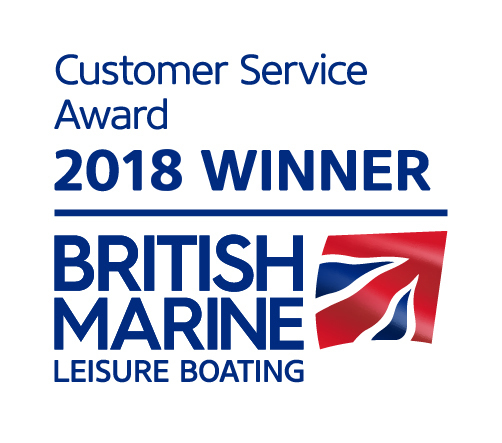 If you have any comment regarding the service offered by Hamble Point Yacht Charters, please initially raise the issue with the member of staff concerned. If you are unable to raise the issue with the member of staff concerned, or the issue is not resolved to your satisfaction, please contact the Principal via the office address or telephone within 28 days. We will make an initial response within 48 hours and will make every effort to resolve the issue satisfactorily within 14 days. We hope that we have provided you with the answers to any questions that you may have, but please contact us for any other information or to discuss your individual requirements. For more information about the services that we offer, please see Yacht Charter, Charter Membership or Yacht Management.